While they state there is no intelligence to suggest a threat to Thames Valley areas, police urge the public to be 'alert but not alarmed'. The Statement reads: "Following the tragic events in London, Thames Valley Police would like to remind our communities that the national threat level remains at SEVERE: as it has been since October 2014. "This means that an attack is highly likely and we urge the public to be alert but not alarmed. "Along with our partners we continue to do everything we can to help protect our communities, public institutions, critical national infrastructure and businesses. "We have reviewed our security measures and activities, including those for pre-planned events and in crowded places and there is no intelligence to suggest a specific threat to our communities within the Thames Valley following the terrorist attack in London. We will continue to provide a visible policing presence across the Thames Valley to provide reassurance to our communities. "We will be engaging with key community representatives to allay concerns and fears linked to this incident - with a particular focus on supporting our Muslim communities. We will be actively monitoring any incidents of hate crime and will ensure that they are dealt with robustly. "Communities defeat terrorism - we depend on information from the public, you are also our eyes and ears, and everyone can play their part in the effort to keep us safe. Please remain vigilant and report any suspicious behaviour or activity to the confidential Anti-Terrorist Hotline on 0800 789 321 or in an emergency call 999. In the rare event of a weapons attack occurring we urge you to follow the Run, Hide, Tell advice. Chief Constable Francis Habgood said: “In light of the tragic incident in London, the cooperation of our communities is more important than ever before. “I would urge you to contact the police straight away if you believe that someone is acting suspiciously. Trust your instincts and let us decide whether the information is important or not. No piece of information is considered too small or insignificant. 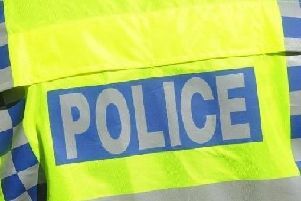 “I would like to reassure you that Thames Valley Police has reviewed our security measures and there is no specific intelligence to suggest a threat to our communities within Oxfordshire, Buckinghamshire and Berkshire.